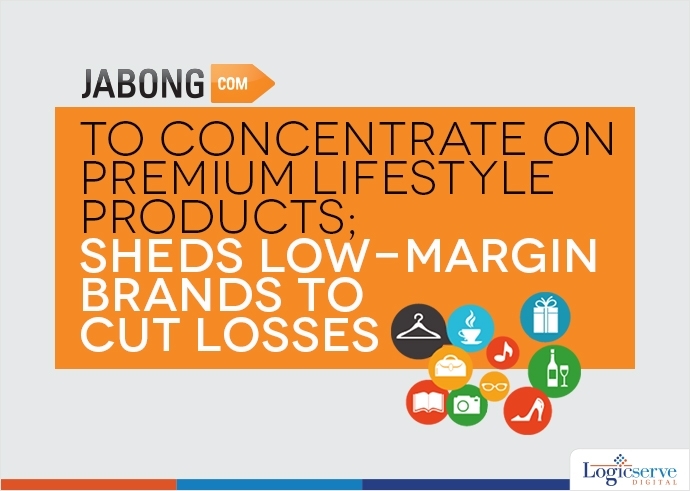 Jabong, one of the leading online fashion portals, with an aim to establish itself as a premium lifestyle products platform, is shedding its low-margin brands that include its private labels as well. According to a top executive of the company, the Rocket Internet, the German e-commerce incubator of Jabong will concentrate on the top 200-300 brands. Sanjeev Mohanty, Jabong MD, said that the company had spread itself too thin and now it will shrink its portfolio with an aim to sharpen its positioning and shedding the lower price labels and brands. However, the company declined to disclose the delisted brand names. In 2015, Jabong managed to cut down losses to about a third to approximately Rs. 47 Crore compared to the last year after the crackdown on discounts. However, this move slowed down the sales growth to Rs. 869 Crore by 7%. Over a period of the time, Jabong earned higher margins by launching many global brands like Tom tailor, Bugatti shoes, Dorothy Perkins, and more exclusively for India. But, now the company is delisting a dozen of its private labels, to concentrate on Sangria and Incult, its bestsellers. In competition with leading players such as Voonik, Koovs, and Myntra, the lifestyle platform also plans to expand its sports and ethnic portfolio. By 2020, when the online fashion market in India is anticipated to reach $20 billion, Jabong’s move observe the narrowing of the market. According to the experts, in the initial stages, the company might lose some of its existing customers during the repositioning of the brand. Weekend Digital Media Round-up: Google’s messaging platform ‘Chat’, New Gmail features, LinkedIn’s GIFs in messaging, more..